Thomas (Tom) Sheehan was married Annie O’Mara; they had four children. He was described by a political correspondent in the Sydney Morning Herald as ‘that roley-poleyish epitome of good fellowship’ (Sydney Morning Herald, 31 July 1943, p8 http://nla.gov.au/nla.news-article17858485). He died on 26 March 1955. Sheehan was an official of the Australian Federated Union of Locomotive Enginemen. Sheehan successfully ran as the Labor candidate for Cook in the Federal election of 1937. He held the seat until his death in 1955. 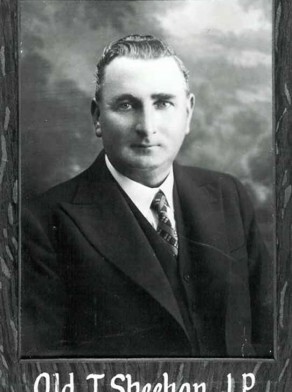 Tom Sheehan was an alderman on Newtown Council in 1935-37, representing Enmore Ward.